Finally, to all fans of Nut Rush 1+2, the sequel Nut Rush 3 is available right now! This time the cute squirrel jumps from branch to branch in a snowy winter wonderland. 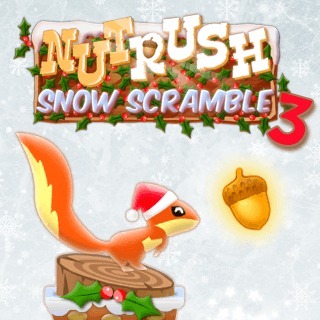 Numerous power-ups help to gather nuts and carry them safely into the nest. With good reactions and skillfulness you will manage to get a top score in every level!